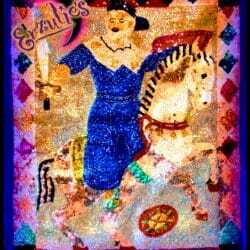 Gris-Gris Bag & Mojo Magic! For opening up roads of opportunity, opening doors of success and prosperity and fast luck for any situation! 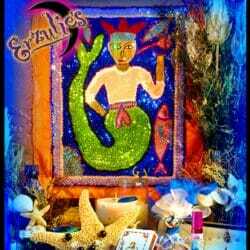 These powerful Voodoo Gris-Gris bag is handcrafted and ritualized using the most potent, rare herbs, roots, precious essential oils, hand-pressed Voodoo Powders and other magical items to open the doors and bring the luck you need – fast! 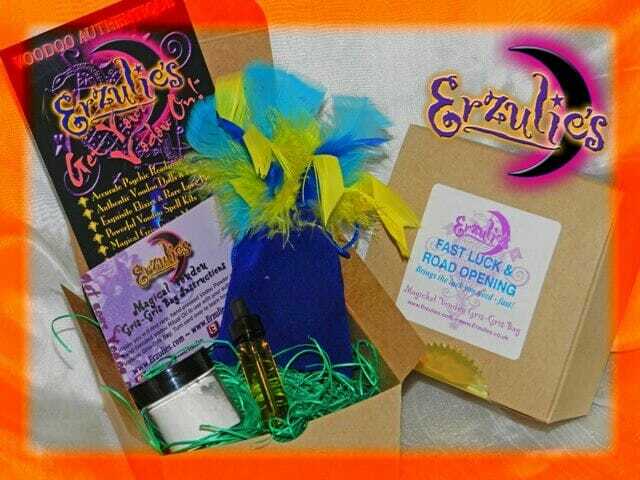 This Road Opening & Fast Luck Voodoo Gris-Gris bag is a must have before you do anything speculative for instant luck! Perfect for gambling, new business ventures, job interviews or looking for the extra advantage over competition! Arrives with a packet of of High-John Voodoo Ritual Powder and a Dram of Van-Van Voodoo Ritual Oil in a gift box with detailed instructions.